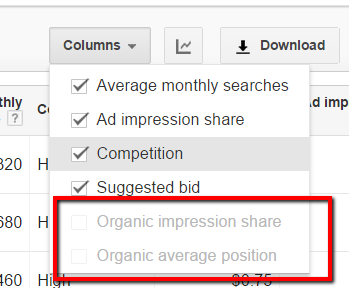 New AdWords Keyword Menu? | Search Commander, Inc. I just ran across a Google Adwords client with a new toolbar I’ve not seen before under the keywords tab, that gave me instant access to the negative keywords, and to the keywords that drove the clicks. I’m pretty sure this is brand new, not only because I hadn’t noticed it before, but because I went through about a dozen other accounts, and none of them have it. They all still have the negative keywords listed underneath the full keyword list. This one doesn’t. Also, on those accounts without the toolbar, just like always, the only way you even know about the search terms list is if you click into the details menu, under Search Terms. I’m not sure if this is a test, a glitch, or what, but I like it. This feature (search term report) has been available for years, but now Google made it more “flashy” or clearly visible on the surface.. Earlier you have found it under keyword details/insights – where keyword auction data is available.